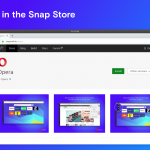 As summer glides away to be replaced by the season of mists and mellow fruitfulness, we're releasing the first iteration of Opera 18 in the Developer channel. If you don't notice that much differences from latest O17 dev stream, don't worry, this is our 18 "early bird", which will be refined and enhanced until features are frozen and it moves into the Next channel for bug fixing. There is more to come! Access Bar, tab handling, more settings, right click on edit fields to create searches, improvements on HDD usage, Synchronization (Opera Link) might be available in two weeks time, and others. Note that features will be shipped when they're ready, so the list above may change if we encounter showstopper bugs or UI nasties, in which case they'll be rolled over to another release. 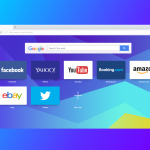 For the same reason, it's possible that features may be removed before Opera 18 goes to the Next channel. There is no Linux version of Opera available yet. As always, we'll be delighted to hear comments about bugs or UI.